Inaugural Police Ball a sell-out success! When they’re not too busy fighting crime and keeping our streets safe, the Surry Hills Police are throwing balls to raise funds for Sony Foundation. The inaugural Surry Hills Police Ball, was held in spectacular affair, overlooking the hallowed turf of the Sydney Cricket Ground. Hosted by friend of the Foundation and long-time supporter, Ben Fordham, the ball raised an incredible $100,000 for the Children’s Holiday Camp Program! A sell-out success, with 550 guests in attendance, including the Hon. Scott Morrison MP, Prime Minister of Australia, the Hon. 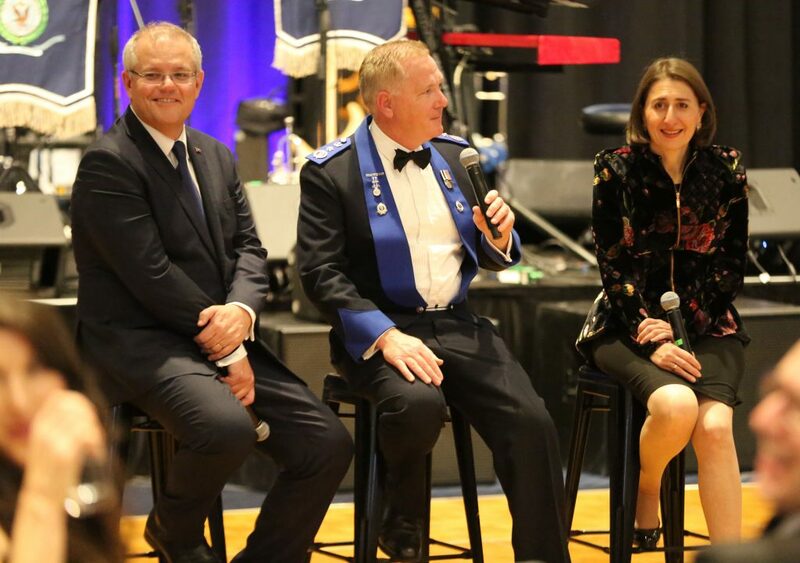 Gladys Berejiklian MP, Premier of NSW and NSW Police Commissioner, Michael Fuller APM, the team from Surry Hills police went all- out to create an event to remember! With the support of Sony Music, a live set from Sony Music artist Cyrus, ensured guests were up and dancing! However, the highlight of the night had to be a very special surprise for one of our Sony Camp families! 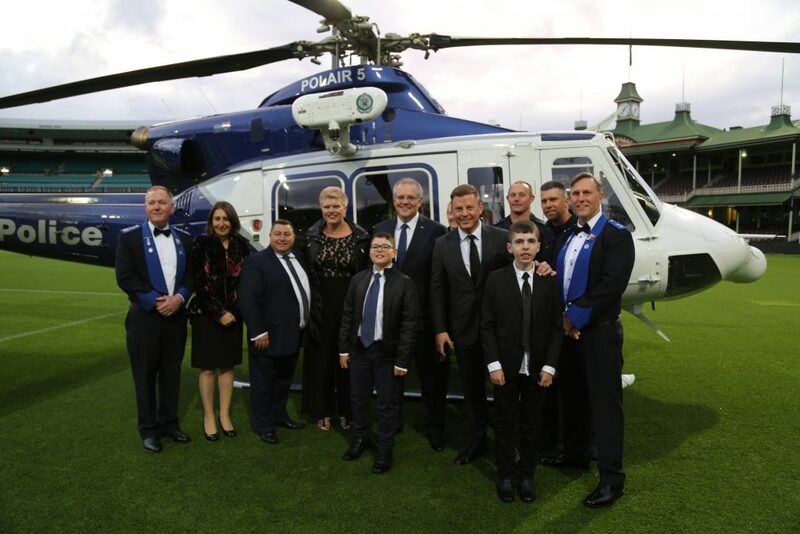 The Surry Hills police arranged for the Prime Minister, Premier and event host, Ben Fordham, to arrive and land at the SCG in the Police helicopter together with a Sony camper with special needs, Jordan and his family. Jordan, his mother, father and brother were escorted to the chopper in police vehicles, then were treated to a scenic flight over Sydney Harbour before landing on the field in front of all the guests. The experience was incredible for the young brothers and the parents were absolutely awestruck. After arriving at the event, Ben Fordham invited Jordan up on stage to provide further insight into the work of the Camp program and the impact it is having on so many young children and their families involved in the Holiday Camp Program. 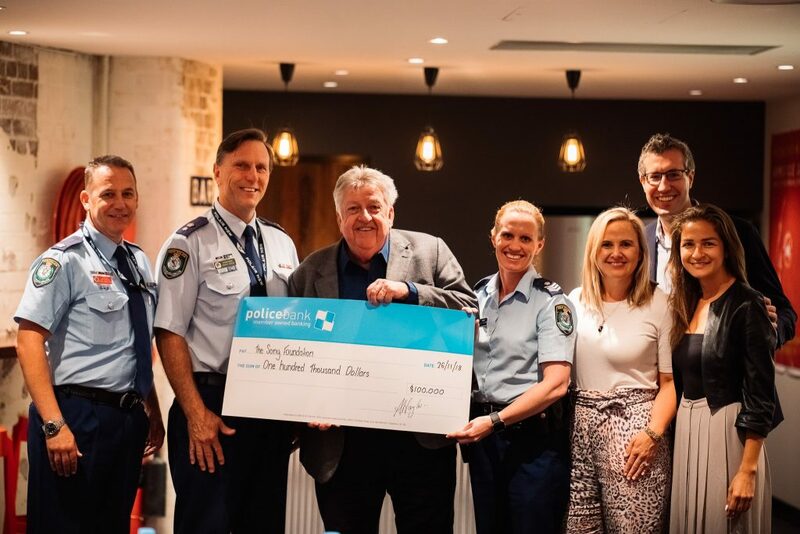 Special thanks to the Surry Hills Police for their generosity and stellar work in organising such a successful fundraiser for Sony Foundation’s Children’s Holiday Camp Program.